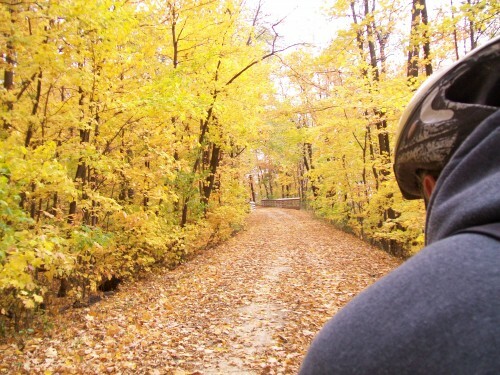 We rode our bike here on the Military Ridge Trail from Mount Horeb. 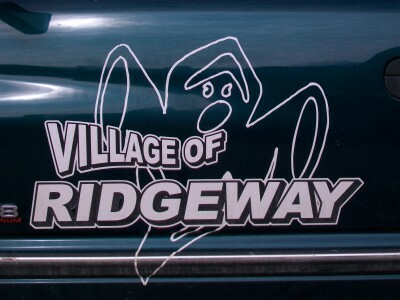 October is the perfect month to see Ridgeway, because of their famous ghost that scared the locals during the 1800’s and is still said to be haunting the area. 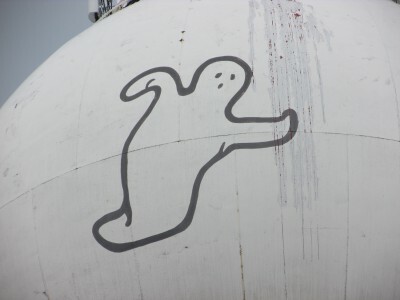 We didn’t see the ghost the day we visited, but noticed how its part of the town’s identity. 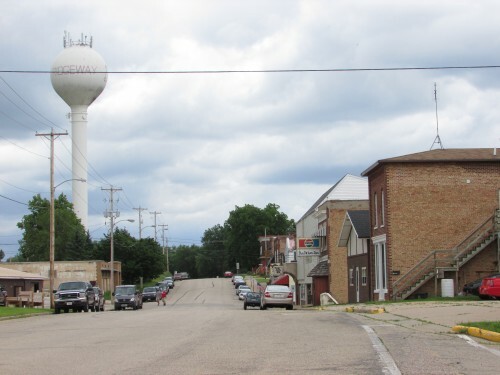 It’s on their water tower. Also on their public works trucks. 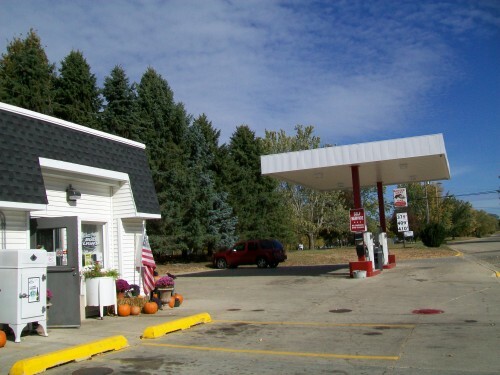 The first business as we entered town is a gas station and convenience store, Badger Mart. 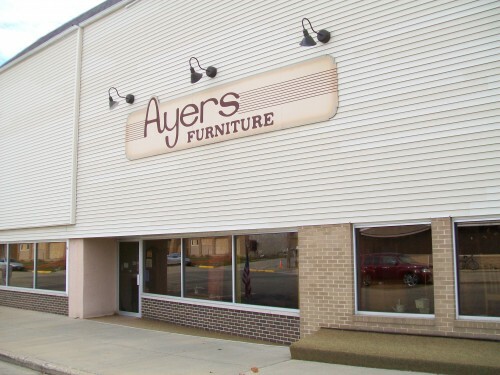 Downtown, the largest store there is Ayers Furniture. We also found their historic train depot with a railroad car outside. 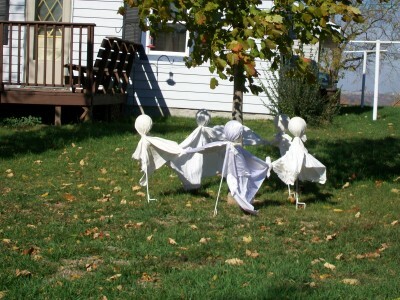 We enjoyed our visit here but still hoped to see a ghost. Ride or drive in, the countryside is quite pretty. 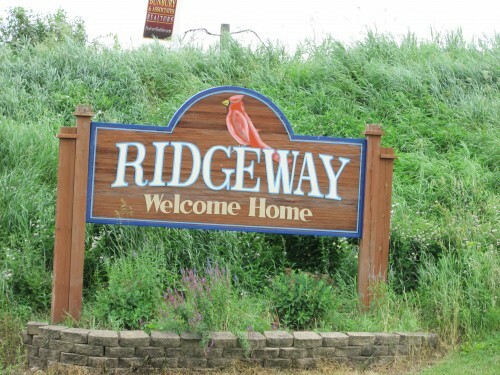 Also, Hyde Mill is in Ridgeway if you want to go there. ← Play Ball! The Madison Mallards Collegiate Baseball Team Offers Summer Fun!